Nicknamed "TO", Ongwae hails from Eldoret Kenya and is the son of Samson W. Omweno and Florence Okari. Prior this this new deal, the talented basketballer who once featured for the national team was a forward for The University of Louisiana at Monroe team, the ULM Warhawks where he made his mark from Junior to Senior level and helped the team bag many accolades. 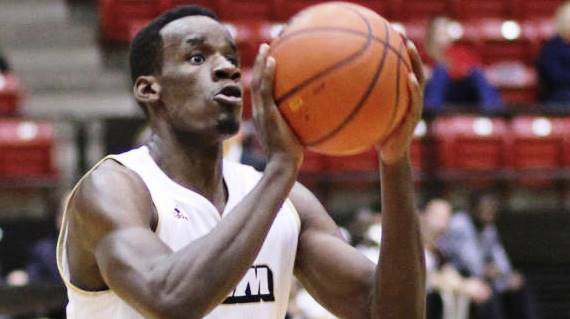 Featuring for only two season, Ongwae helped Warhawks bag 14 wins at home as a senior, the second-most in school history. "ULM's first-ever All-SBC First-Team selection... led the team in scoring and started all 38 games for the second straight year... nine 20+ scoring games and 26 double-figure scoring games on the season .... averaged 20.4 points per game in the CBI... five double-doubles on the year... played 40+ minutes seven times... logged 1,347 minutes on the year, second-most in ULM single-season history... finished second in the league in free throw percentage at a .836 clip (127-152)... drained 22 points in the CBI Semifinals vs. Vermont...matched a career-high 27 pts in CBI Quarterfinals... 26 pts and four 3FGs in CBI first round against Eastern Michigan... team-high 17 points in SBC Quarterfinals vs. USA... double-double with 16 points and a career-high 13 rebs vs. USA... double-double with 17 points and 10 rebs vs. Ga. Southern... double-double with 15 points and 10 rebs vs. Troy... 25 points vs. both Central Baptist and LSU-Alexandria... double-double with 19 points and 10 rebs vs. NSU and neared a triple-double with a career-high nine assists... neared a double-double with 22 points and nine rebs vs. La. College... poured in 19 points and grabbed eight rebs in an overtime thriller at No. 8 Florida and head coach Billy Donovan said he was the best player on the court... netted 18 points in a victory over UAB and grabbed nine rebs... won five Warhawk of the Week awards, bringing his career total up to 10, the most in the award's history"